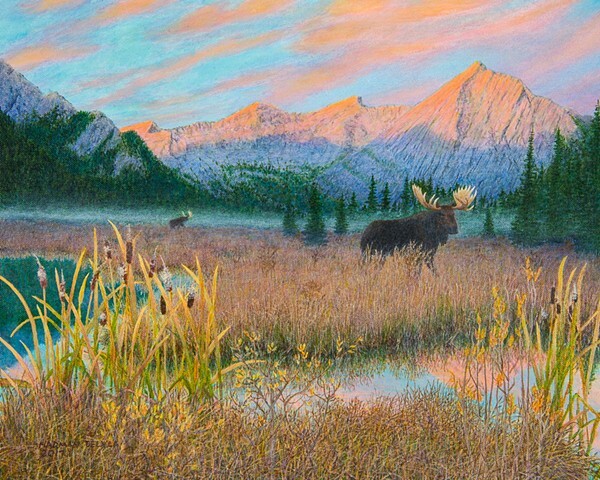 I painted this scene from memory of a trip to the Elk Lakes. While sitting in a camper, I saw two bull moose in the meadow, their antlers gleamed in the cool misty, morning air. The image stayed with me and is what I wanted to show in this painting.